Tom Szczerbowski/ReutersLou Williams has been averaging 23.6 points off the bench. The Toronto Raptors kept almost their entire roster together for the 2014-15 season. 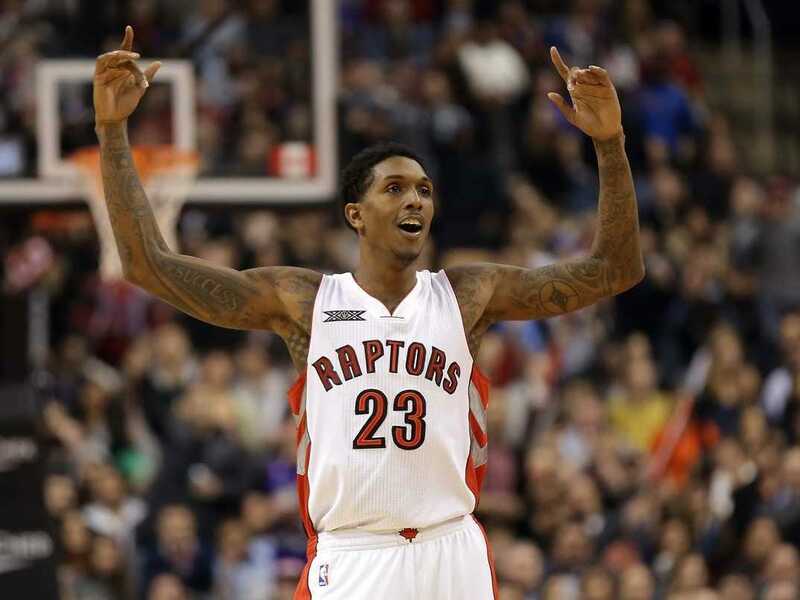 The Raptors did make one big move, a trade for Lou Williams, which has paid off immensely. The Raptors got Williams from the Atlanta Hawks, who wanted to clear Williams’s $US5.45 million salary off their cap space. In return, the Raptors sent John Salmons, a journeyman forward who the Hawks immediately waived to preserve even more cap room. The Raptors also got the rights to Brazilian center Lucas Nogueira, who is in his first season in the NBA after being drafted in 2013. The trade was a total steal for the Raptors, who gave up almost nothing of value while also receiving Williams who’s having his best season in several years. Williams doesn’t add much else — he averages only 2 rebounds and 1 assist per game — but he has successfully filled the Raptors’ need for a scorer off the bench. For the season, he’s averaging 13 points per game on 44% shooting, 40% from downtown. It’s his best overall field goal percentage in five years, and the highest three-point percentage of his career. With Williams on the floor, the Raptors have a 110.8 offensive rating (points scored per 100 possessions) and a 91.1 defensive rating (points allowed per 100 possessions), giving him a team-best 19.6 net rating — nearly five points better than the second-place Raptor. The Raptors are first in the Eastern Conference at 12-2, and if Williams keeps it up, he’ll likely keep the Raptors ahead of the pack while sealing a Sixth Man of the Year award.